Montreal, Canada – August 9, 2010 – As the newest member of the Godin Guitar family, the Richmond guitar brand is no stranger to quality craftsmanship and tonal excellence, all Made in Richmond Quebec Canada. This retro inspired line-up is fueled by serious tone for players looking for a vintage vibe, backed by renowned build quality and modern playability. Recently welcomed into the fold, is the new Richmond Empire with a serious “one-two punch”…major tone and a very appealing price tag! 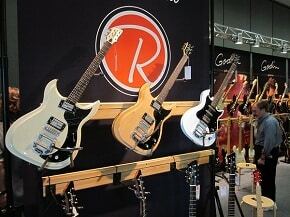 First seen in North America at the 2008 Summer Namm show, where it was bestowed “Best In Show” honors, Richmond Guitars has since been gaining momentum on a dealer level and has caught the eyes and ears of many established and award winning bands, as well as up and coming artists from North America and Europe. factories, 5 of which are located in the Eastern Townships of Quebec and 1 located in Berlin New Hampshire. 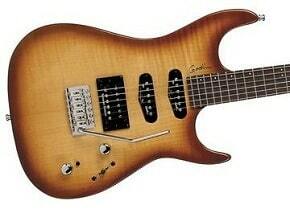 Great Guitar! I purchased an Empire yesterday. Great selection of woods, and constructed with care and precision. I am 100% satisfied.